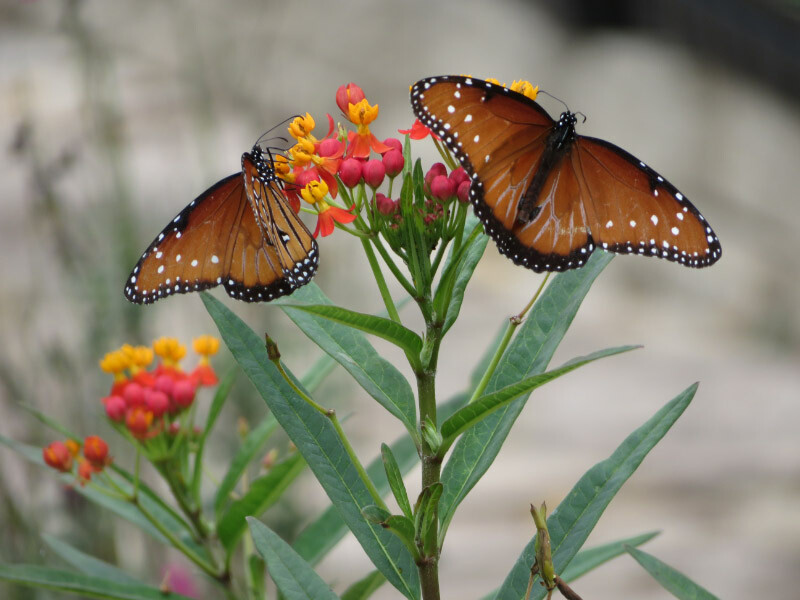 Like most botanical gardens, the San Antonio Botanical Garden is segmented. The Kumamoto En Japanese Garden was probably my favorite: the water feature surrounded by plants and rocks, a mockingbird scolding us (wanting the garden to himself), a sun and moon ‘lantern,’ and stepping stones for going off the trails. The Sensory Garden was colorful and included sculptures (like the armadillo below) that were positioned to be touched. 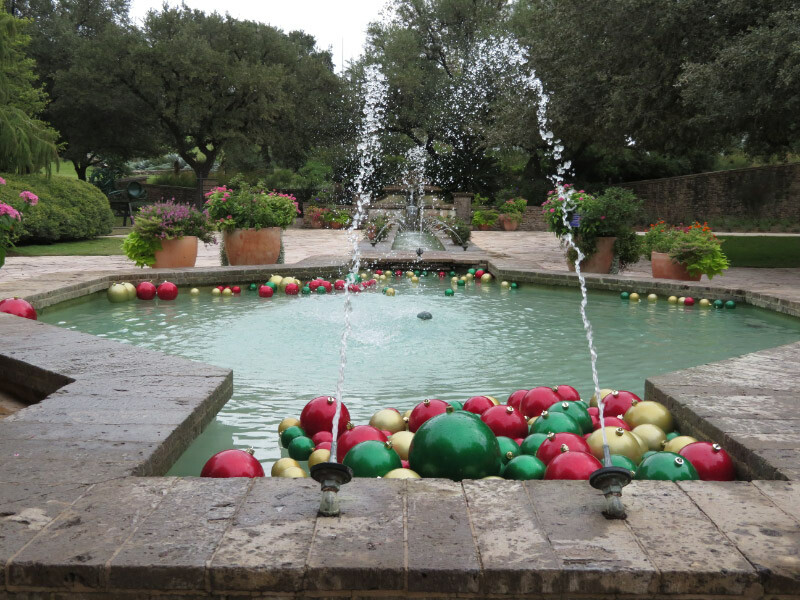 The Fountain Garden included ‘Christmas balls’ floating in the water and a metal flower sculpture surrounded my greenery. I’ve always wanted to get some close-up Datura flowers and seeds…and there was a plant that was well positioned for that! A chess set in the well of the amphitheater. There was a special display of scarecrows while we were there – created my local organizations. 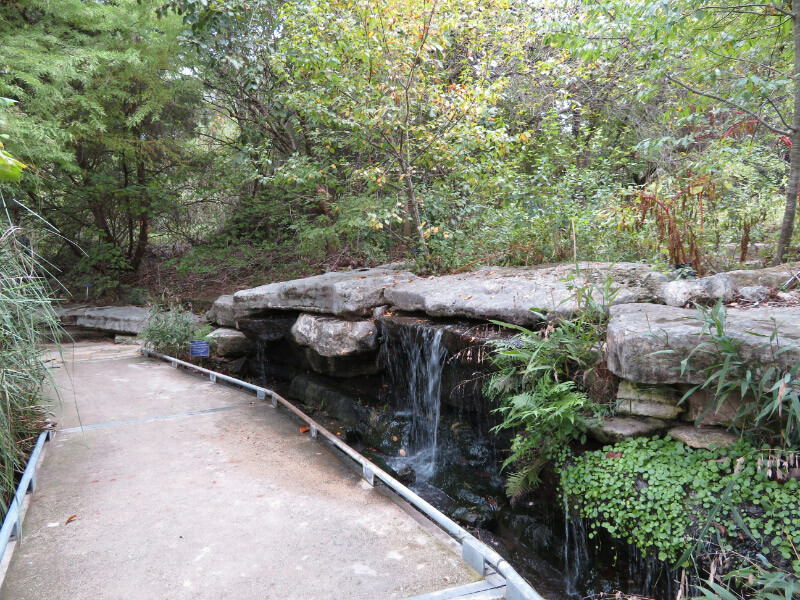 The garden has several areas that talk about the various water situations in Texas: Hill country, East Texas, and South Texas. It was more rustic than other areas of the Botanic Garden. We didn’t see very many birds – but I did manage to photograph a hermit thrush in a tree (right off the trail in the East Texas part of the garden). I was pleased since I am rarely fast enough to get a good image of forest birds.